SEATTLE--(BUSINESS WIRE)--Today, Starbucks Coffee Company (NASDAQ: SBUX) opened its first Reserve store, a new store format from the company’s Siren Retail business dedicated to its premium Reserve brand. This new location compliments Starbucks suite of premium store formats already open, anchored by the company’s immersive Reserve Roasteries which bring to life the theater of coffee roasting, brewing and packaging for customers. Siren Retail also includes Starbucks Reserve bar locations and Princi bakeries, each of which uniquely tell the story of Starbucks small-lot Reserve coffees, provide freshly-baked Princi food and offer mixology for the evening daypart. 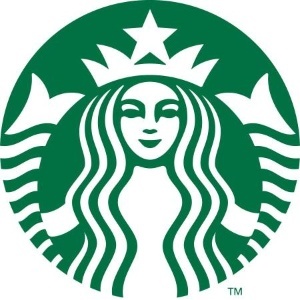 “Over forty years ago Starbucks set the standard for the third place experience and at the time it was unprecedented, giving our customers a place to connect with each other in new ways. Today marks another significant milestone as we have taken everything we have learned from our highly successful Roasteries, the relevancy of the third place and the overwhelming reception of freshly baked Princi food to an environment that will re-define customer connection and continue to serve as a halo to the rest of the business,” said Howard Schultz, Starbucks executive chairman. The Reserve store is open to the public on the main floor of the building that houses Starbucks headquarters in the SoDo neighborhood of Seattle. There, customers will experience the full beverage menu available at the Seattle Reserve Roastery, but with a few new items including Nitro Draft Latte and Spiced Ginger Cold Brew on tap as well as new espresso drinks such as the Bianco Mocha. The Princi menu continues to offer customer favorites including cornetti, brioche, Pizza Mozzarella di Bufala, focaccia sandwiches, and the space includes a full mixology bar serving traditional Italian Aperitivo, aromatic Italian cocktails such as Aperol Spritz, Milano Torino and Negroni Sbagliato, for afternoon and evening customers. Designed in an open, marketplace style, customers can engage with and order from partners (employees) at the Princi counter or Reserve coffee bar, then gather with family and friends at community tables or lounge areas around two fireplaces. On view is the Princi kitchen where customers can see breads and pastries being made and fresh ingredients prepared daily. “While our Roasteries are designed to be bold, educational environments, our Reserve store takes the best of coffee craft as well as artisan baking and layers in a marketplace-style customer experience creating a space that has both energy and moments of intimacy,” said Liz Muller, senior vice president, Creative, Global Design & Innovation. This Reserve store format was first introduced at Starbucks Investor Day conference in December 2016, as part of the overall premium store segmentation which would be developed globally, over time. It includes up to 20-30 Roasteries, 1,000 Reserve stores and 20% of the Starbucks store portfolio becoming Starbucks Reserve bar locations. Since then, Starbucks opened its first international Reserve Roastery in Shanghai, launched the first Princi location in the United States inside its Seattle Reserve Roastery and brought dozens of Reserve bar locations to life around the world. The company has also announced that it will be bringing stand-alone Princi stores to Seattle, Chicago and New York and plans to open Roasteries in Milan and New York later this year in addition to Tokyo and Chicago in 2019. Since 1971, Starbucks Coffee Company has been committed to ethically sourcing and roasting high-quality arabica coffee. Today, with more than 27,000 stores around the globe, Starbucks is the premier roaster and retailer of specialty coffee in the world. Through our unwavering commitment to excellence and our guiding principles, we bring the unique Starbucks Experience to life for every customer through every cup. To share in the experience, please visit our stores or online at news.starbucks.com and Starbucks.com. 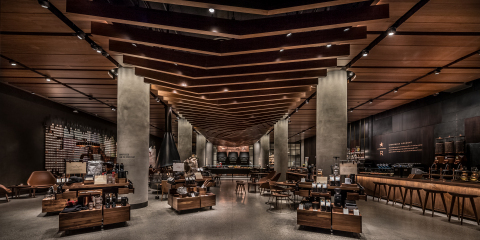 Today, Starbucks opened its first Reserve store, a new store format from the company’s Siren Retail business dedicated to its premium Reserve brand.